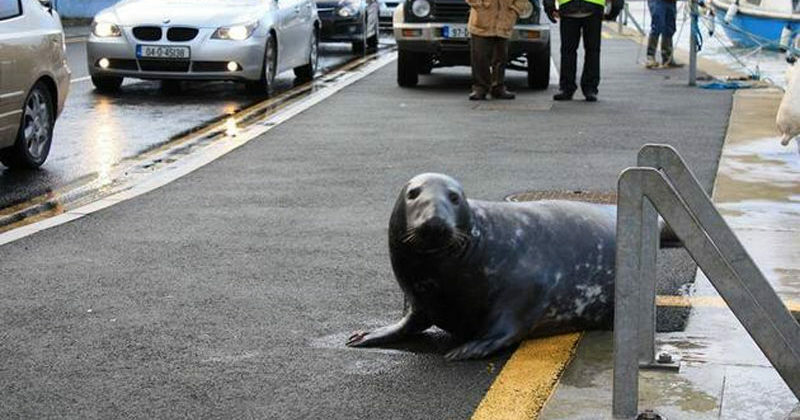 Sammy the seal is a local legend in County Wicklow, Ireland. Every morning, he hangs out by the harbor for a bit before flopping his way across a waterfront road. This could have something to do with the fact that no matter how hard people try to protest, they always fill his belly. Needless to say, breakfast is a pretty adorable time of day for everyone in this town! Hey, you can’t blame him, right? If a restaurant gave me free food because I happened to stop by every morning, I’d probably hang around, too!